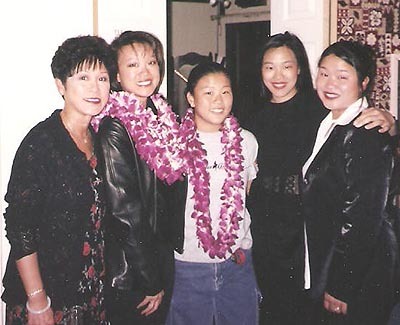 (l-r) Bev Umehara with daughters Tami Chang, Karina Umehara, Lia Chang and Marissa Chang-Flores in San Francisco c1998. It’s been sixteen years since my mother died and there isn’t a day that goes by that I don’t miss her. I wrote this article shortly after her death, highlighting her achievements as an Asian American Union Activist. When the paramedics brought my mother to UC-California Medical Center on October 2 with a brain aneurysm, the doctors said she wouldn’t make it through the night. They didn’t know my mother. She hung on while my sister Tami and I rushed from New York to the hospital, and we were able to hold her hands when she finally slipped away. 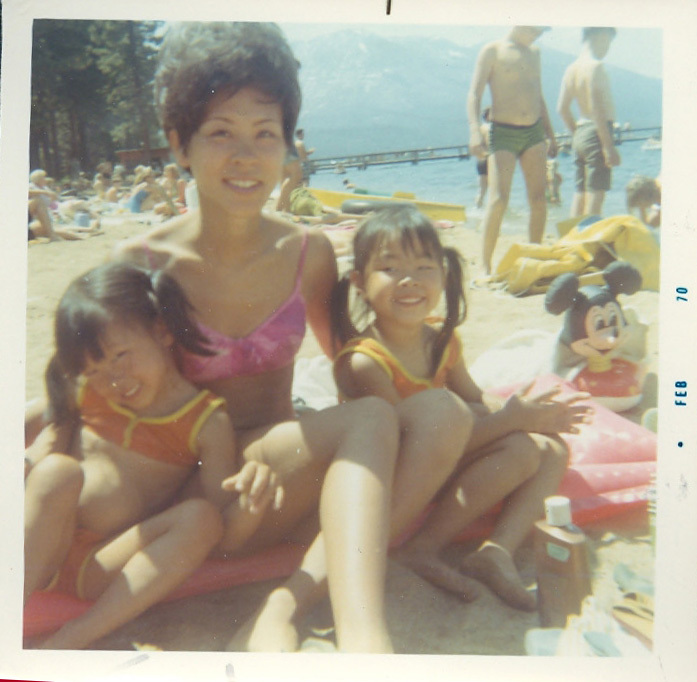 That was our mom, Beverly Umehara, a women warrior holding court even in the last hours of her 53 years of life. My mother was a remarkable woman with an indomitable spirit and movie star looks. A social butterfly, she was the embodiment of energy, warmth, and vitality. 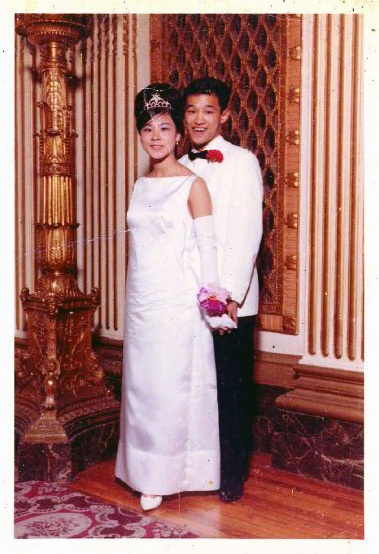 Born in San Francisco on December 18, 1945, Bev (as her friends and family called her) was the eldest daughter of Nancy Chang, a beautician and Harry Kai Chong Chang, a merchant seaman. 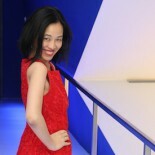 She grew up very poor in the vibrant SF Chinatown community. 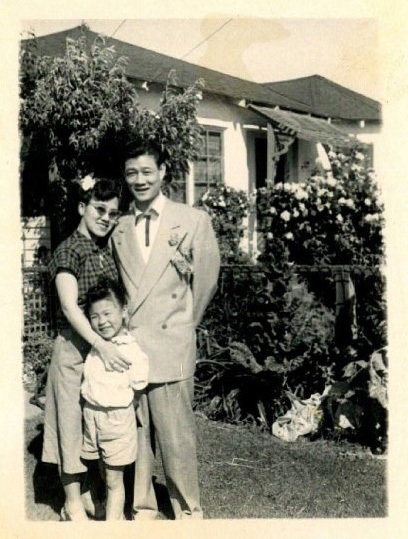 My mom with her parents Nancy Chang and Harry Kai Chong Chang. 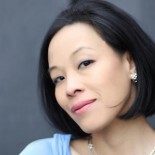 Perhaps the most remarkable thing about her career was that calling came relatively late in life, at 47, when she made a sudden transformation from a humble, hardworking secretary and mother of four, into a labor activist, a respected union leader, and a role model for rank-and-file workers, women of color, and for all Asian Pacific Americans. Against all odds she made her way to that convention. She described how enthralling it was for her to be with so many Asian American union activists, like steering committee chair Katie Quan, a leading organizer of garment workers; Kent Wong, a brilliant young labor activist at UCLA; Guy Fujimura, Secretary-Treasurer of the powerful International Longshore and Warehouse Union Local in Hawaii; and Gloria Caoile, a leading Filipina activist and assistant to the head of AFSCME, a million-member union of government workers. Bev returned to SF committed to APALA’s agenda, and helped establish the San Francisco chapter of APALA where she was elected Chapter Secretary. She told me her knees were knocking when she made her first speech to the California Workers Assistant Program, but her passion drove her on, pushing her to continue to take on leadership roles. In 1995, she was elected to APALA’s National Executive Board, and was appointed as president of the San Francisco Chapter. As president, she led the San Francisco Chapter of APALA in forming lasting community-labor coalitions that worked against anti-labor, anti-affirmative action and anti-immigrant ballot initiatives on the California ballot. Under her leadership, the chapter recruited new Asian Pacific American union organizers, assisted workers seeking to form unions, participated in local community struggles, and engaged in non-partisan voter registration and “get out the vote” efforts. Her colleagues on the National Executive Board were aware of Bev’s powerful work, and her evolution as a leader. At the APALA national convention in August, 1999, she was awarded the ART Takei Leadership Award, named after the pioneering Nisei activist who first became a union organizer in the 1950’s after learning about injustice in the internment camps. Chatting with U.S. Representative Patsy Mink at the end of the evening, the congresswoman told my mother she should run for office; that she had what it took to be a true leader. I believe that Congresswoman Mink was right: whatever the future would have held for my mother, it would have been bright. And it would have involved workers, especially immigrants, who are exploited in the workplace. I have lost my mother but she enriched so many lives that the Asian American community and the labor movement lost one of its leading voices and spirits. Bev was the most beautiful, fun, generous cousin and best friend. I looked up to Bev growing up. I thought she was gorgeous and so very smart. She helped me with one of my first speeches during Junior High School and taught me the lastest dances, along with cousin Pauline. I miss Bev and I shall always, always love her. Bless Bev who is home and smiling with us all. This entry was posted on October 4, 2013 by Lia Chang in Asian American Issues and tagged Activist, APALA, Art Takei Leadership Award, Asian Pacific American Labor Alliance, Bev Umehara, California Labor Federation, Gloria Caoile, Guy Fujimura, Katie Quan, Kent Wong, Lia Chang, Patsy Mink, Union.